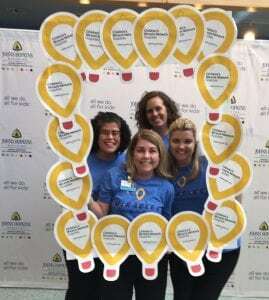 Johns Hopkins All Children’s Hospital has been a proud Children’s Miracle Network Hospitals (CMNH) member since 1983. As a CMNH member – a network of 170 member hospitals – we partner with local businesses, organizations and schools to create innovative campaigns that bring awareness and much needed funds to support children’s health in our community. In 2017 our local partners raised more than $3 million for our hospital. We had a blast celebrating our anniversary which included cupcakes for our colleagues and a CMNH basket giveaway.